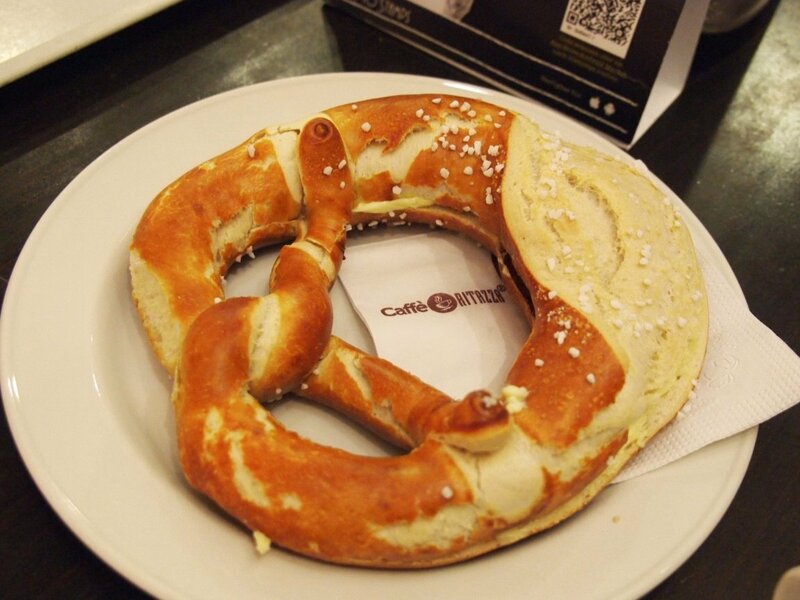 German cuisine might not be light, but it's good. 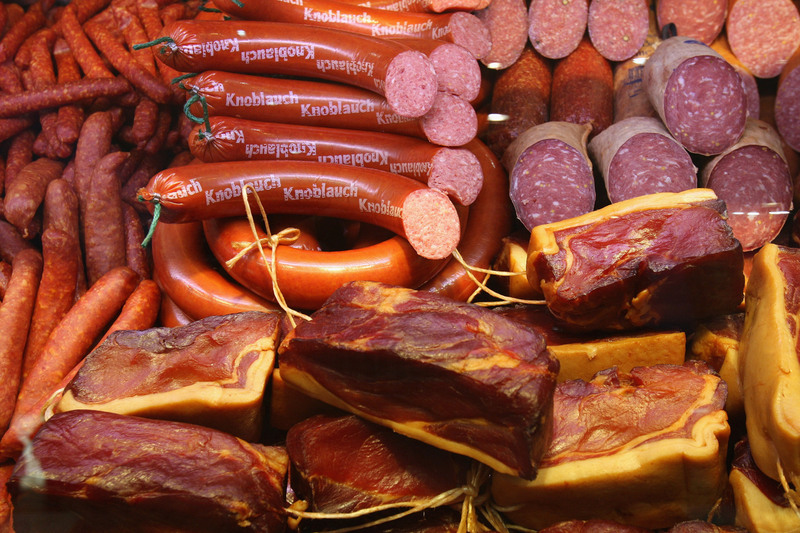 And although it's easy to get caught up in the country's endless varieties of wurst (sausage), there are plenty of other delicious options... Though vegetarian friendly most are not. There are meatballs bathed in gravy, potatoes prepared every which way, and many decadent desserts. Keep scrolling for some of the country's best dishes. 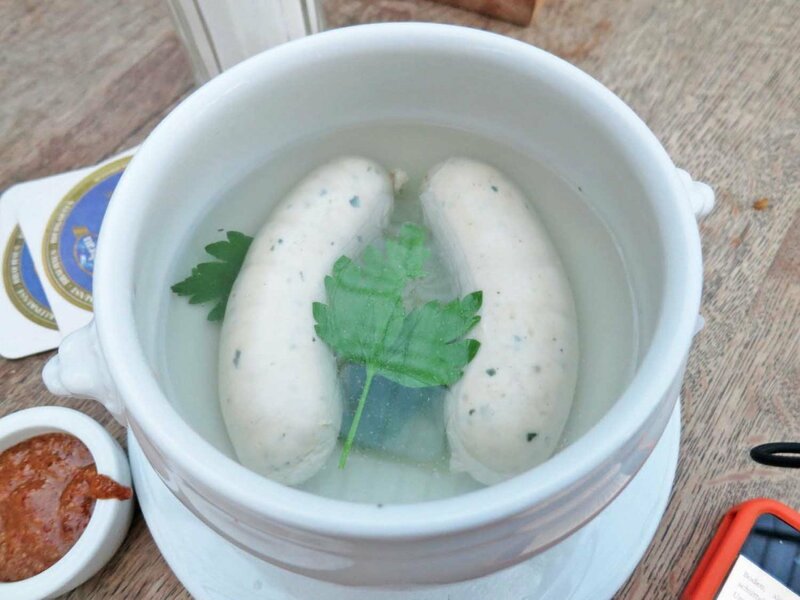 Weisswurst translates to white sausage, and despite its rather plain appearance, this Bavarian specialty is a breakfast staple. Make sure to peel off the skin before eating. 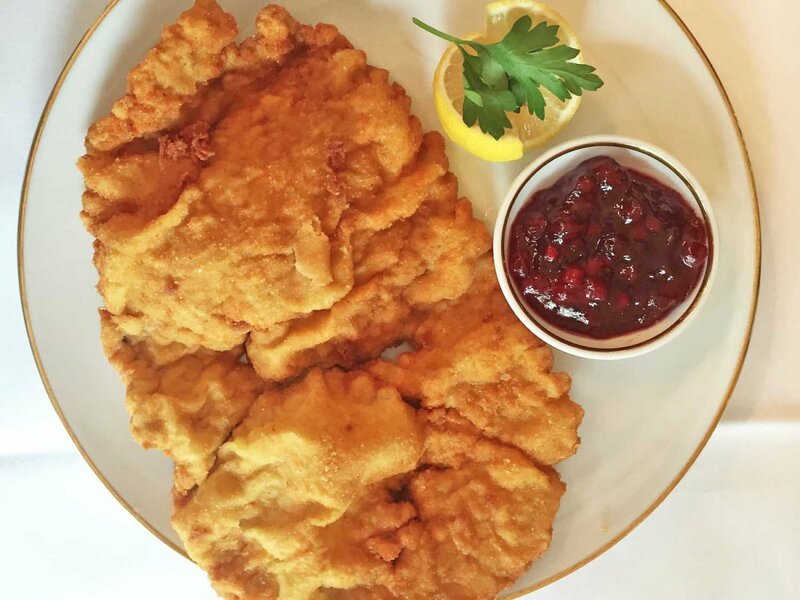 If you're looking for a hearty meal, look no further than schnitzel, which is essentially breaded and fried meat. There's chicken and pork schnitzel, but veal is the most common — and best — option. 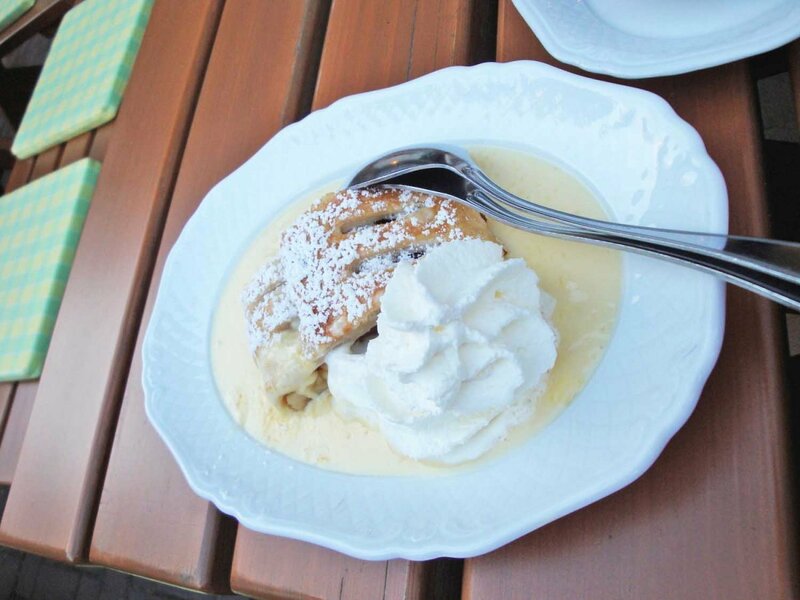 The apple strudel you'll find in Germany (apfelstrudel) features a flaky crust, a warm apple filling, and powdered sugar, all of which is bathed in vanilla ice cream or sauce. 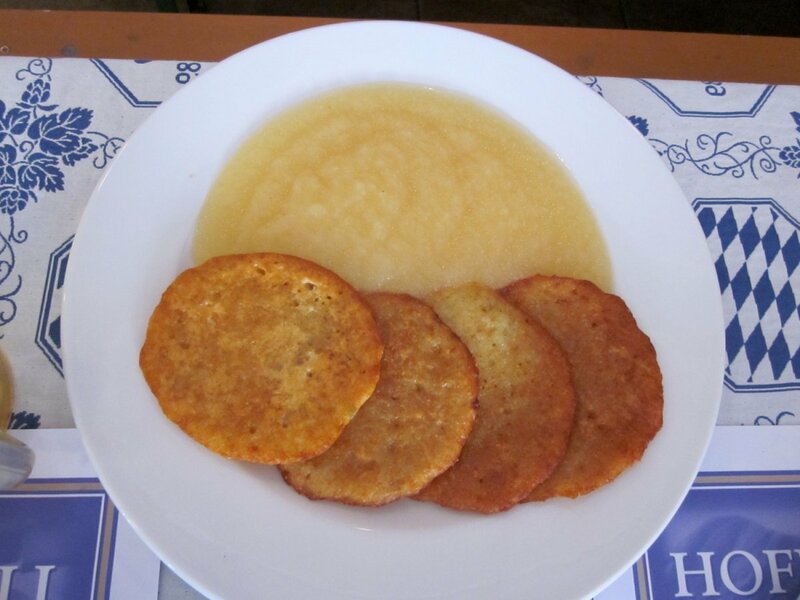 The ideal side to any wurst or schnitzel is some kartoffelsalat, or potato salad. 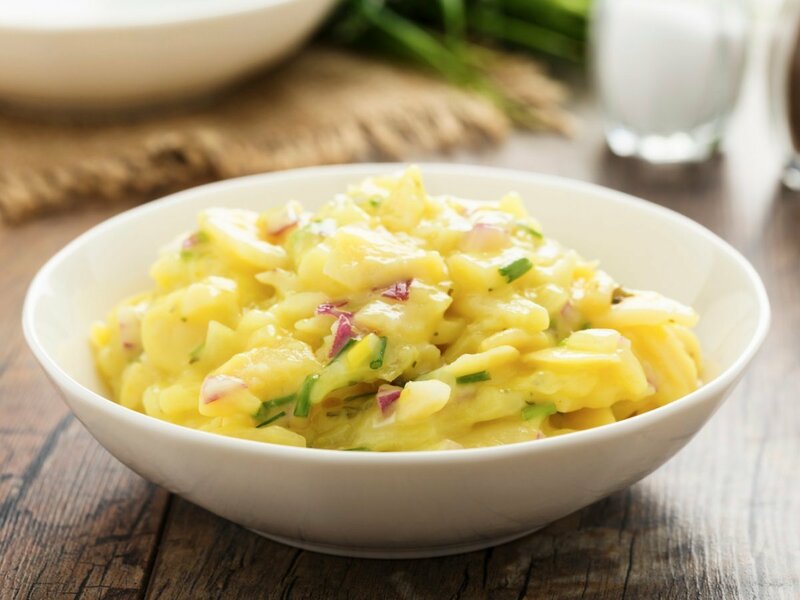 Unlike in the US, German potato salad is made with vinegar and mustard. 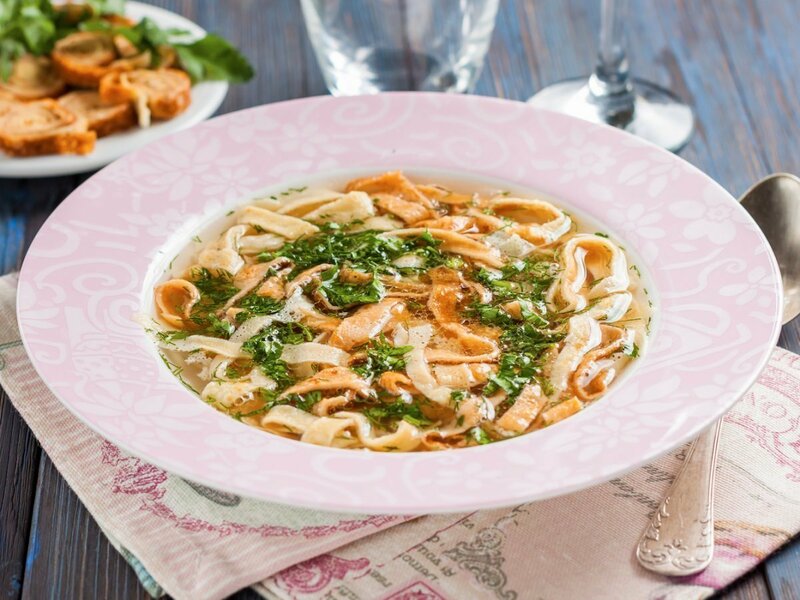 Frittatensuppe is a beef stock with "noodles" that are shredded pieces of savory pancakes. Sold in pretty much every bakery around the country, large soft pretzels (or bretzel as the Germans say) are the perfect salty snack. They are super soft on the inside and really crispy on the outside, unlike their US counterparts. Schwarzwälder kirschtorte is one of the most elaborate cakes you'll find in Germany. 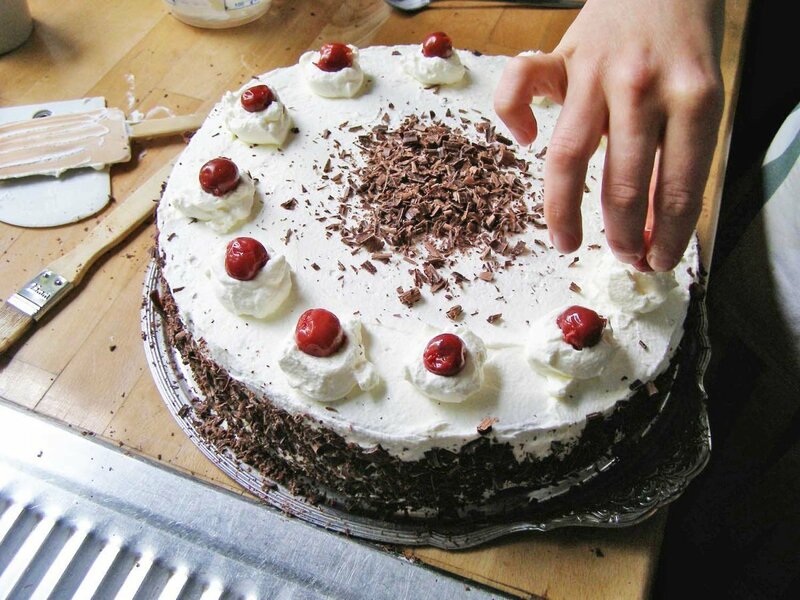 The name translates to Black Forest (the region the dessert is from) cherry torte, and it features layers of chocolate cake, whipped cream, and cherries. 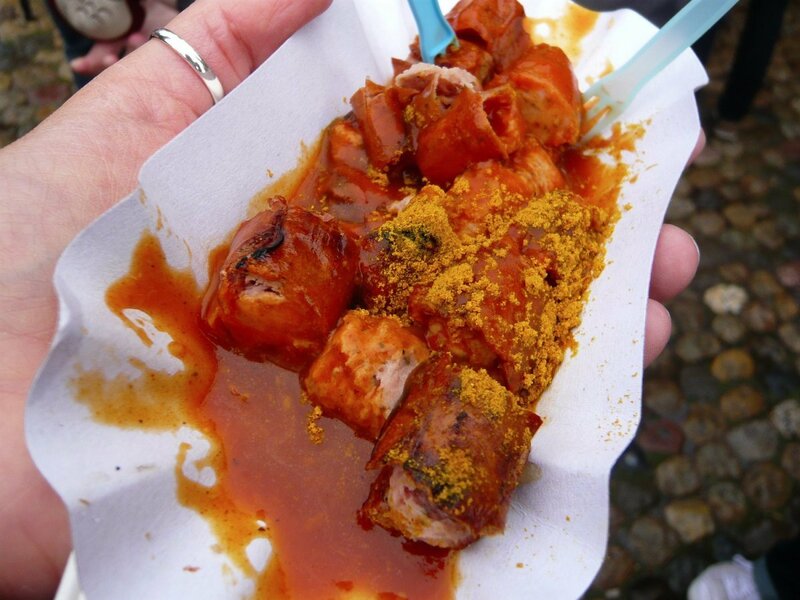 One of Germany's most beloved street foods, currywurst is a grilled sausage that's been doused in a special curry ketchup and topped with curry powder. 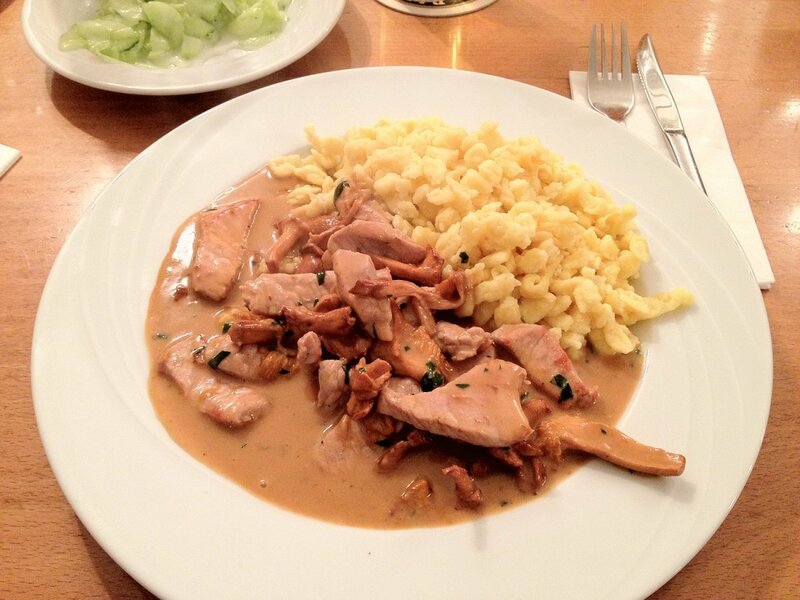 Best described as a small, thin dumpling, spätzle can be eaten plain or with gravy or cheese. While often eaten as a side, a popular main course is käsespätzle, a sort of haute mac and cheese. 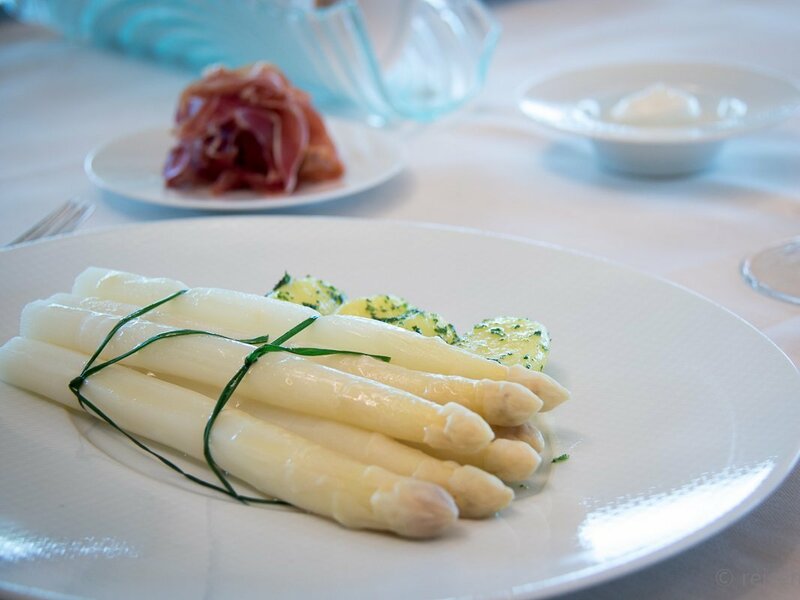 From April to late June, you'll find spargel (asparagus) on every menu. The white variety (which is only available seasonally) is arguably Germany's favorite vegetable. No really, the country is weirdly obsessed with it. 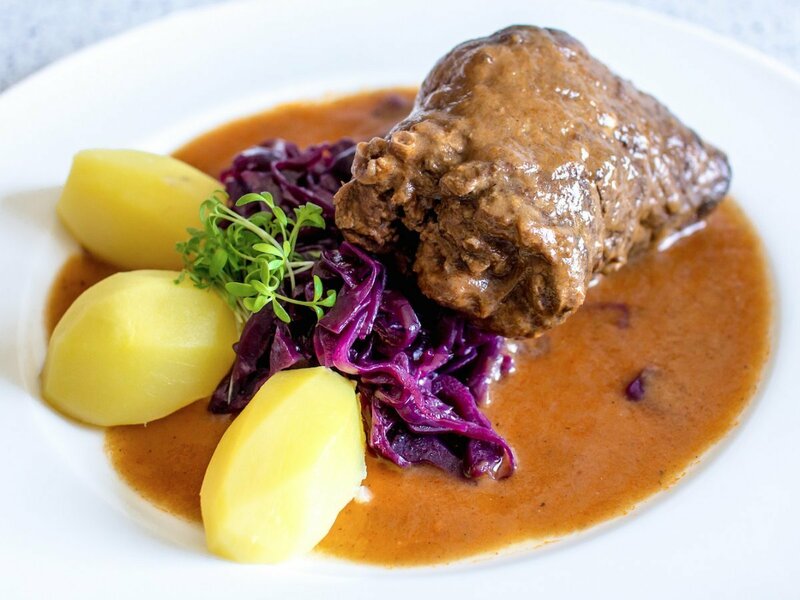 A common beef dish throughout the country, rindsrouladen (beef roulades) are thin slices of beef wrapped around bacon and onion, and sometimes pickles. 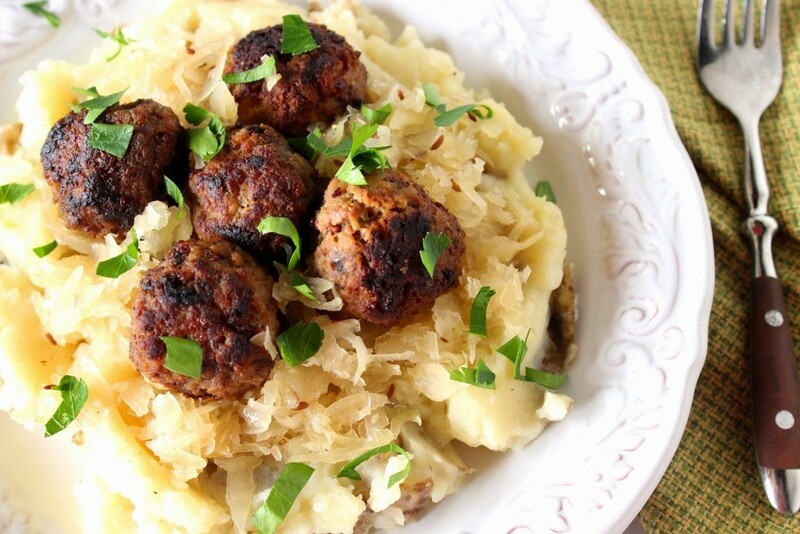 Rotkohl (braised red cabbage) is often served as a side. 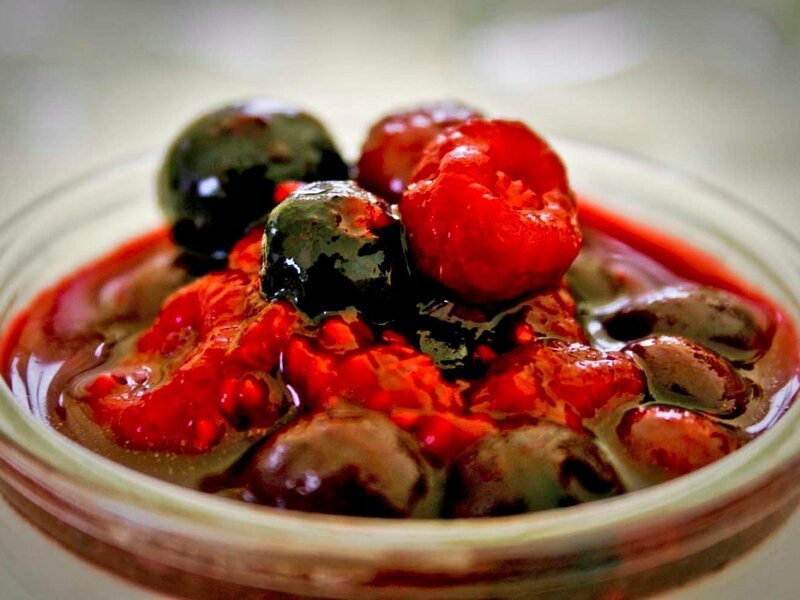 Rote grütze is a berry compote made from red currants and berries such as raspberries and strawberries. 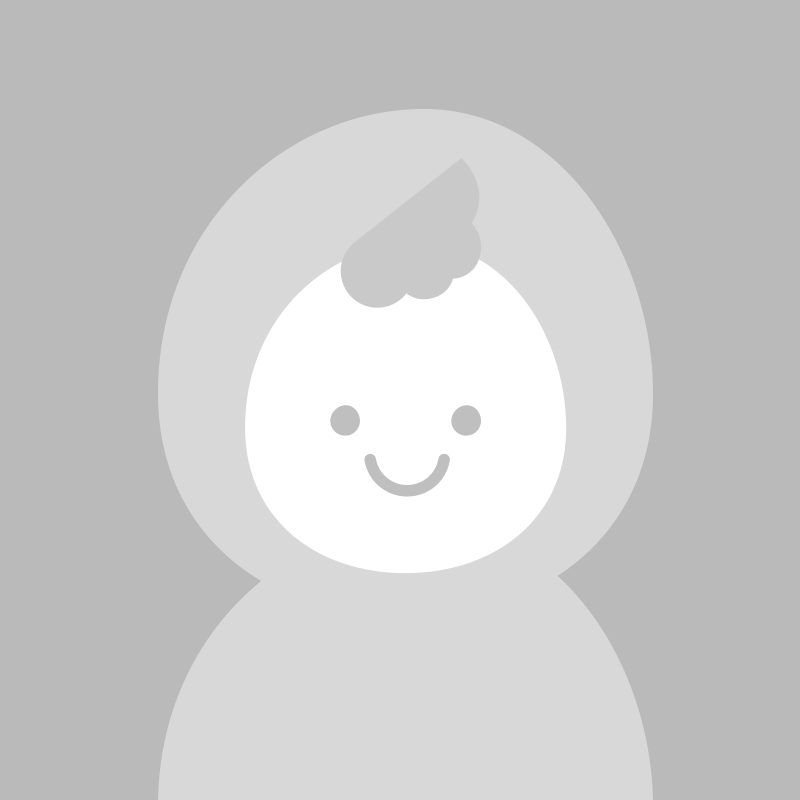 It's commonly eaten with vanilla sauce or yogurt. 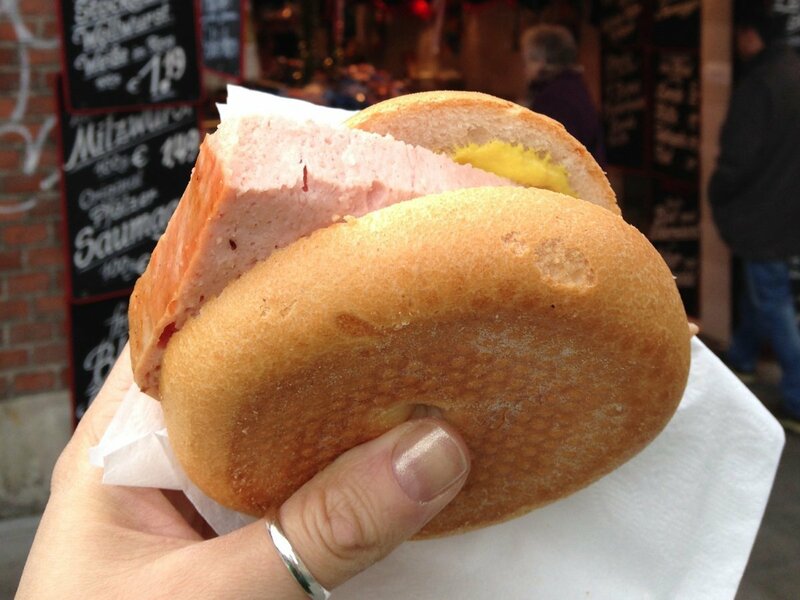 Leberkäse is similar in texture and taste to bologna, but it's often referred to as German meatloaf. Make sure to get one in a semmel (roll) with mustard. If you enjoy less dough and more crunch, try a kartoffelpuffer (potato pancake). They're best when eaten with sour cream or applesauce. 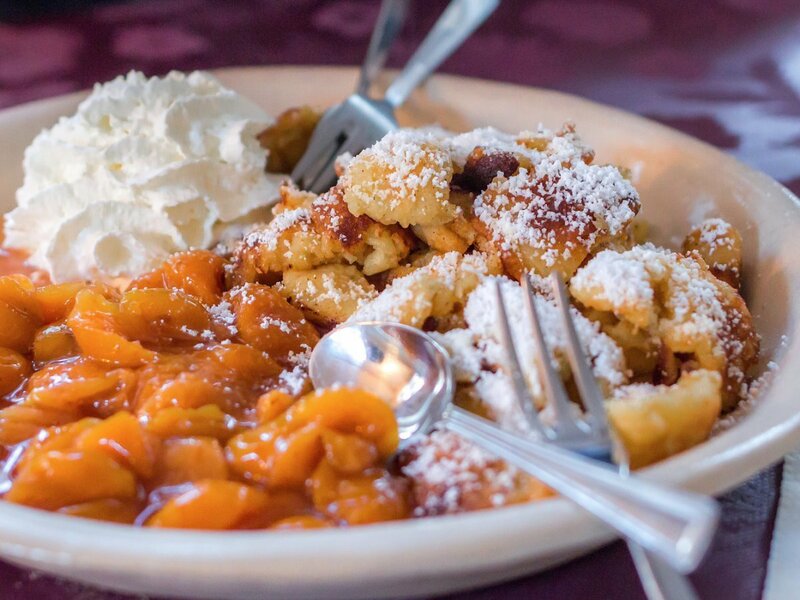 Popular in both southern Germany and Austria, kaiserschmarrn is caramelized, shredded pancake that's served hot with powdered sugar and fruit compote. 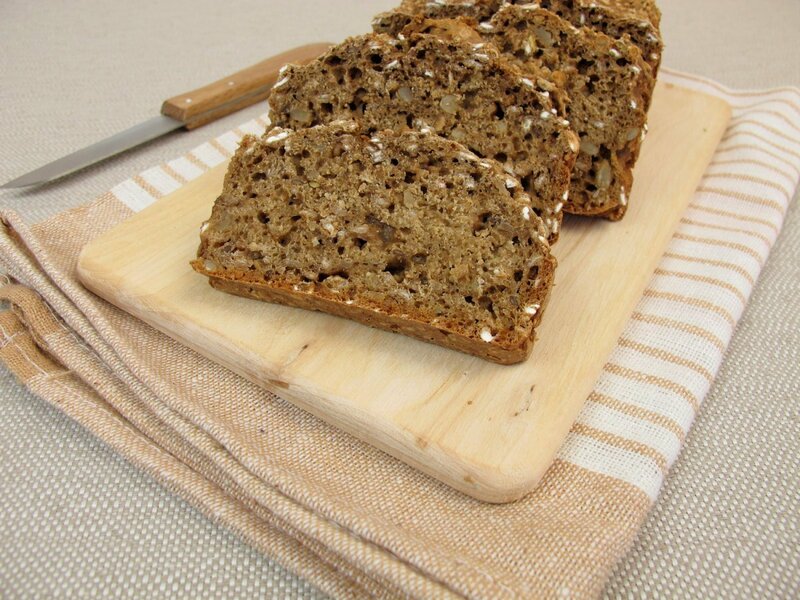 Black bread or schwarzbrot is a staple at any German breakfast table. The slices are packed full of seeds and nuts, which gives the bread its unique taste and texture. 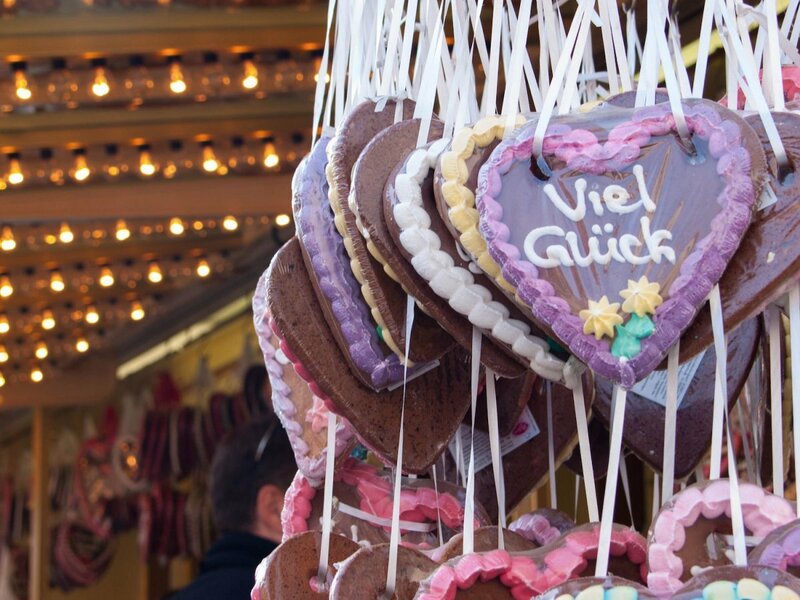 If there's one thing you'll find at pretty much every German market, it's lebkuchen, especially around Christmas. The German gingerbread is often found in the shape of a heart, and decorated with cute pet names or words of encouragement. 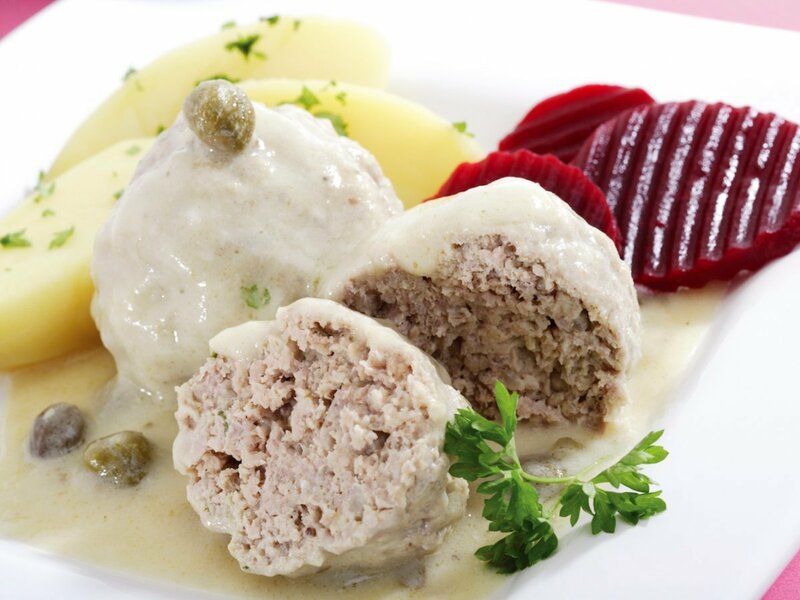 Originally a Prussian specialty, a königsberger klops is a veal meatball topped with capers and creamy gravy. 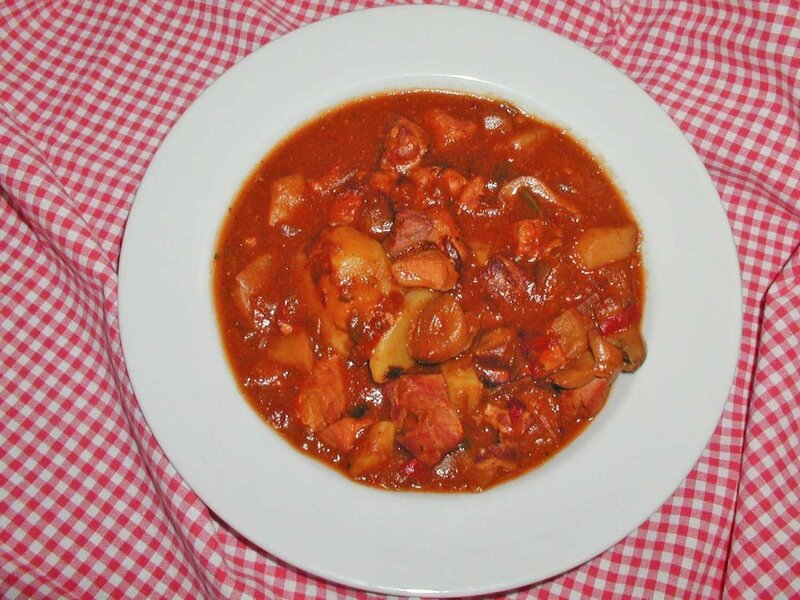 Although goulash is originally from Hungary, goulash soup — made with beef, vegetables, potatoes, and spices like paprika — can be found throughout Germany. 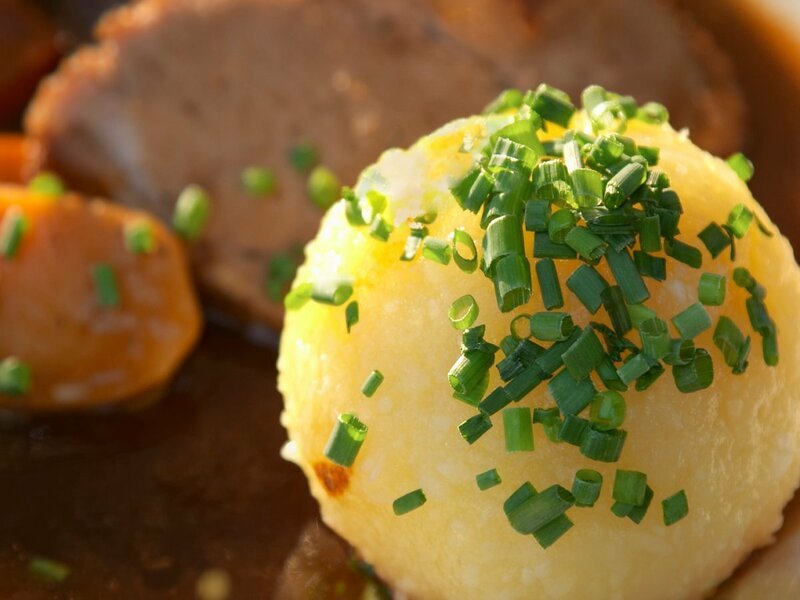 Potatoes are ubiquitous in German cuisine, so it's no surprise that knödel, or klöße (dumplings), are a common side dish to any meal. 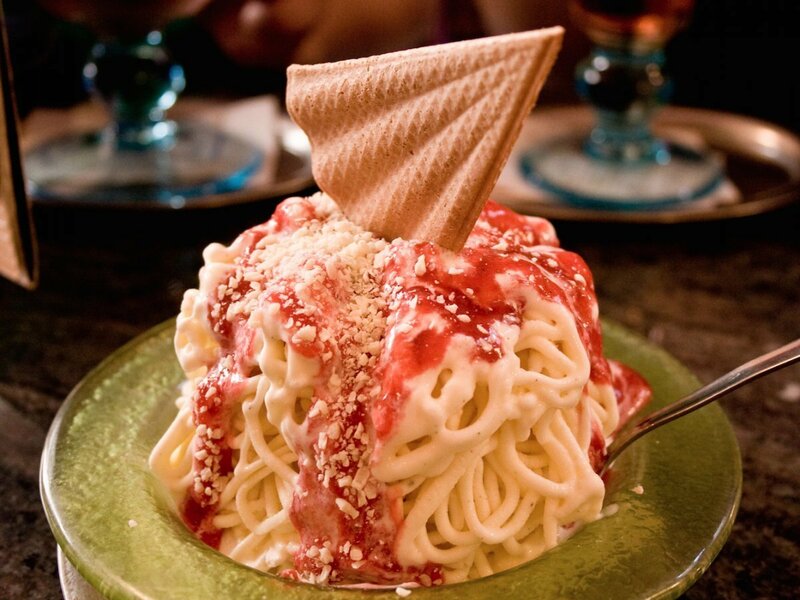 True to its name, spaghetti ice cream (spaghettieis) looks just like a plate of spaghetti with tomato sauce, but it's really vanilla ice cream with fruit sauce. 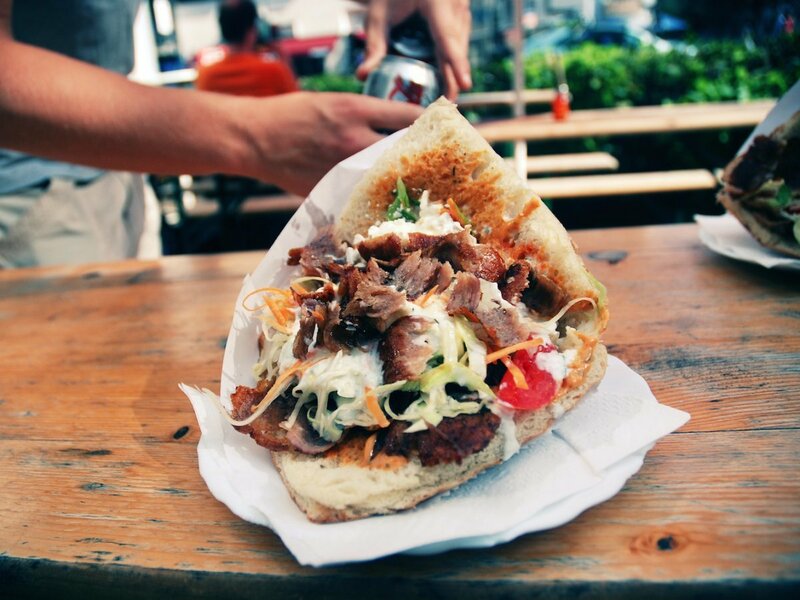 Although originally from Turkey, döner kebab is a common street food in Germany featuring a pita packed full of rotisserie meat, veggies, and plenty of sauce. 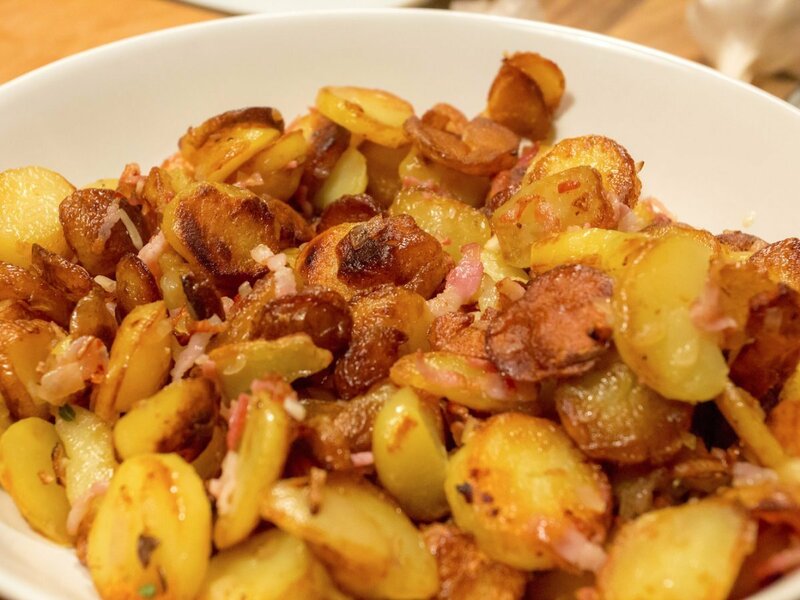 The German version of home fries, bratkartoffeln are cooked potato rounds mixed with bacon and onions. 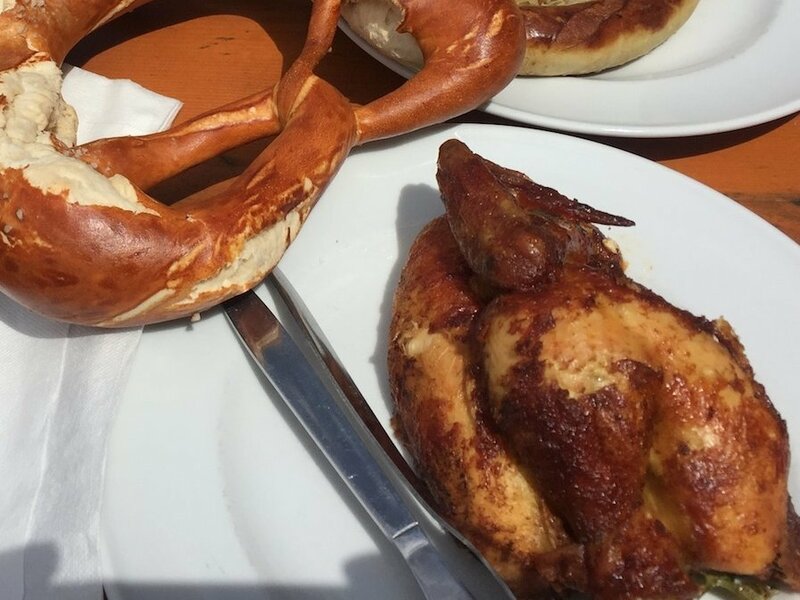 A halbes hendl (half chicken) is a dish that's super popular at Oktoberfest, but found across Germany all year. The rotisserie chicken is super crispy on the outside, and super juicy on the inside. You can get whole ones too. 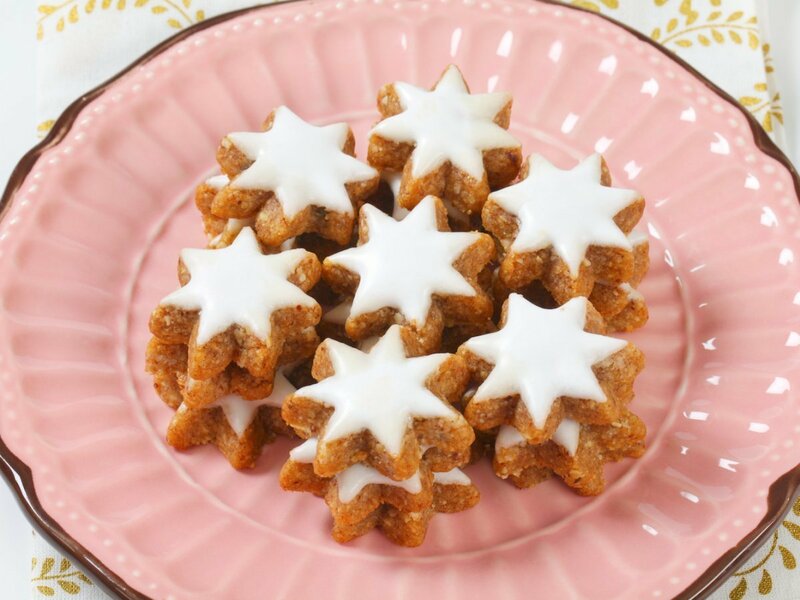 A popular German Christmas cookie, zimtsterne (cinnamon stars) taste faintly like gingerbread, and are made with almonds, cinnamon, ginger, and icing. 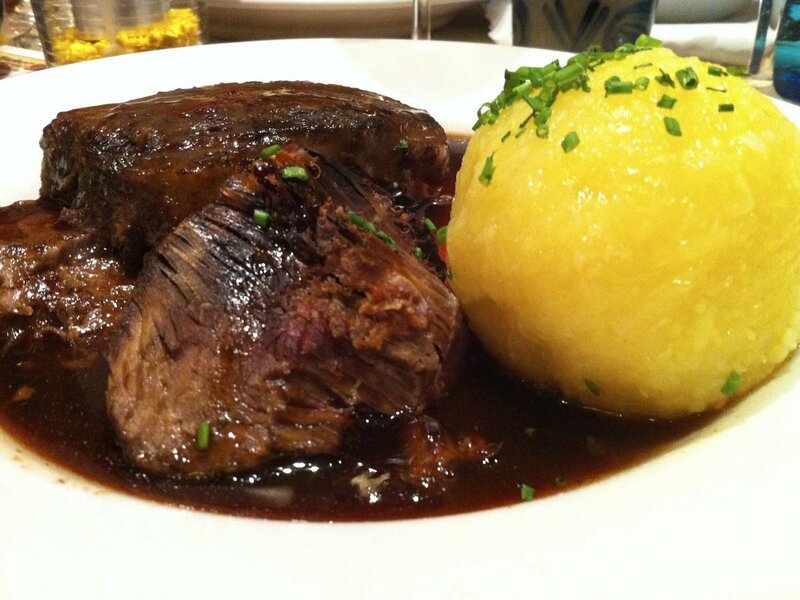 Sauerbraten is best described as a German pot roast made with beef, vinegar, and plenty of spices and seasonings. 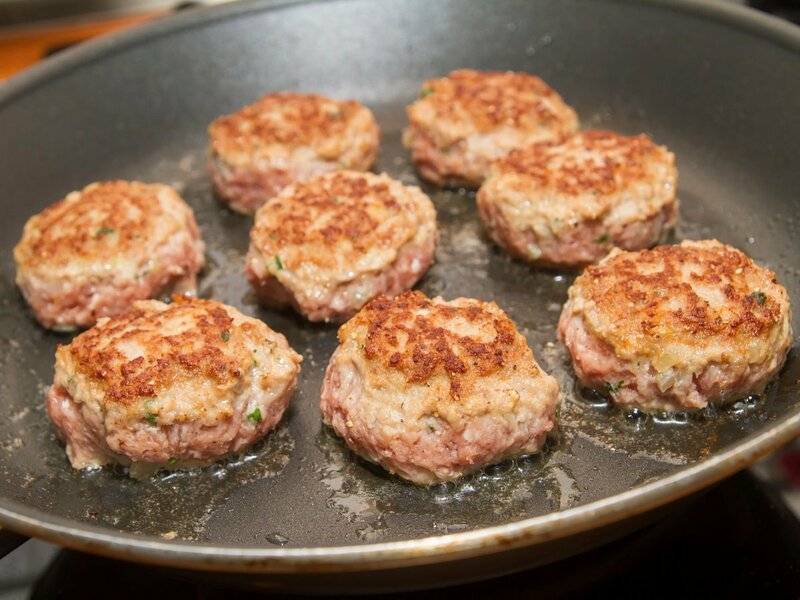 A kind of flat meatball, frikadellen are made of pork, beef, and onions. They're often served in a roll. 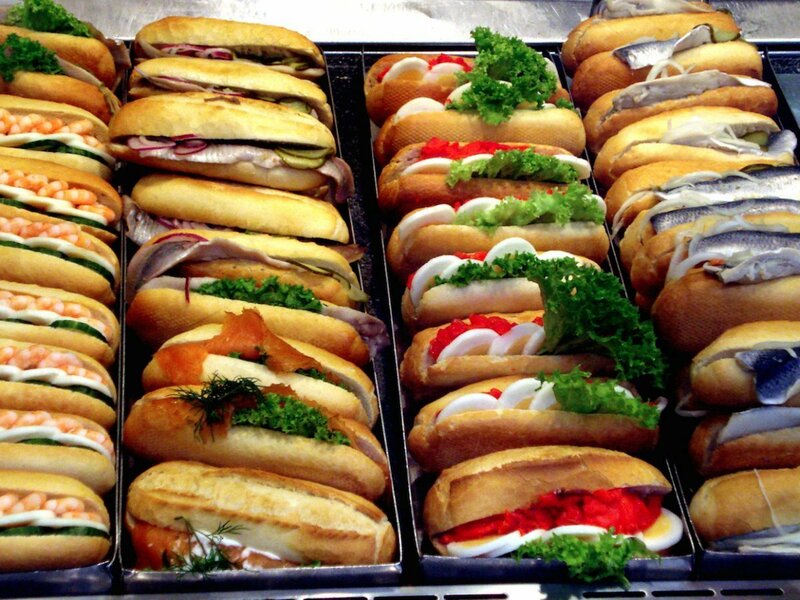 You'll find fischbrötchen (fish sandwiches) all over Northern Germany. Fried or pickled fish is sandwiched between a roll with sauce, and other toppings like veggies and eggs. 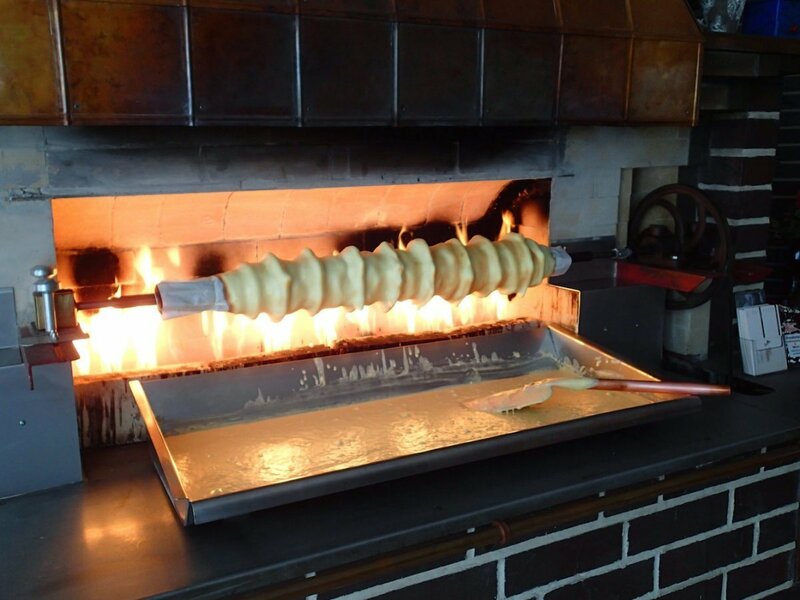 Named for it's rings, which resemble tree rings, baumkuchen (tree cake) is made by placing thin layers of dough on top of each other on a spit that then roasts the cake over a fire.